Redknapp eyes defender reunion | The Transfer Tavern | Where football transfer rumours fly or die! QPR fans in the Football Transfer Tavern were left impressed with news that Harry Redknapp wants to raid his former club to sign William Gallas to boost his side’s chances of survival. 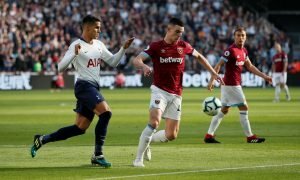 Reinforcing the Hoops’ defence is one of Redknapp’s main aims in the January transfer window and according to the Evening Standard, he is eager to link up with the 35-year-old Frenchman again. Gallas is out of contract at White Hart Lane in the summer and given his age plus recent average displays, it looks likely that Andre Villas-Boas will try to offload him during the current transfer window. Redknapp is poised to pounce after failing to agree a deal with Gallas’ teammate Michael Dawson and he has now targeted the French defender as the perfect signing to strengthen his backline. QPR are also set to lose current first choice central defender Ryan Nelsen in the next few weeks after he agreed to become the coach of MLS side Toronto. 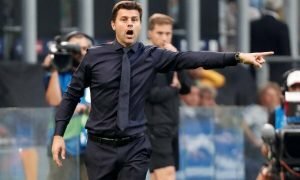 Although he is expected to remain at Loftus Road until the MLS season starts in March, it will leave Redknapp’s team looking short at the back and bringing in the Tottenham man would be suitable replacement. Would Gallas be a good addition for the Hoops? Vote in our polls below.